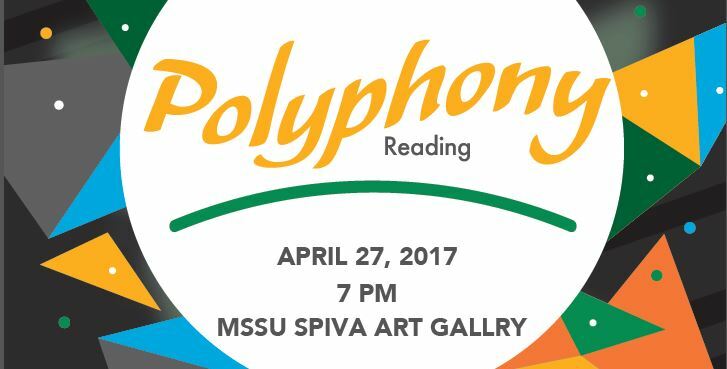 Members of the Department of English and Philosophy will present “Polyphany” – a reading of original poetry and fiction – at 7 p.m. Thursday, April 27, in Spiva Art Gallery. Readers will include Joey Brown, Dustin Faulstick, Michael Howarth, Bill Kumbier and Brad Modlin. The event is planned in honor of National Poetry Month and in support of the Saltzman Visiting Writers Series. The event is free for students. Members of Missouri Southern’s faculty and staff, as well as the general public, are invited to make a suggested donation of $10 for the Saltzman Visiting Writers Fund.